Every year, I read different posts about eliminating weeds from your garden. As an avid and experienced gardener, most of them leave me scratching my head with concern. 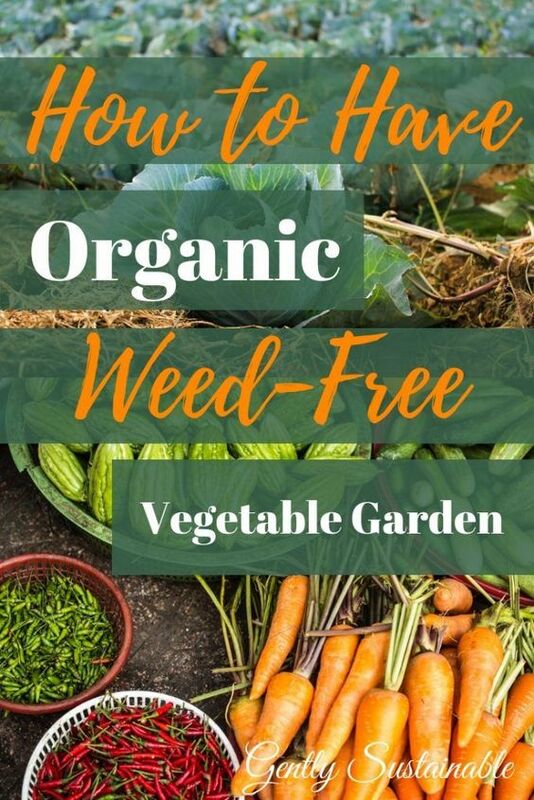 So, here’s “How to Have a Weed-Free Vegetable Garden”! I say “sensibly” because I think many people go just a bit overboard with weed control. So, allow me to let you in on a little secret….there is no organic garden on planet earth without a few weeds. There, I said it. My approach to gardening is to work with nature, doing as little harm to the soil’s microbial life as possible. Organic gardening can’t be approached with the thinking that every plant, other than the ones you planted, that exists on your garden bed must be destroyed. This isn’t sensible. Plus, you’ll drive yourself crazy and not enjoy your garden very much. I’ll admit that I’ve tried just about every organic method under the sun. Most have failed, but I’ve had the most success with the simple ones. Isn’t life funny like that? First, you need to understand that the key to controlling garden weeds is planning! You can’t wait until the weeds start popping up to think about this. 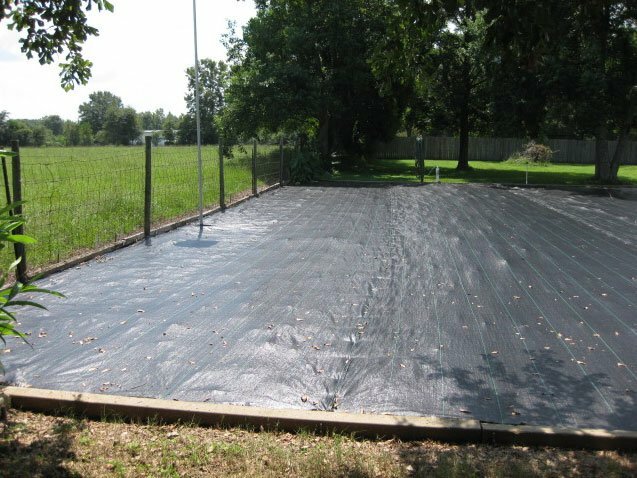 Using a tarp to cover your garden 30 days (longer if you can) before planting will eliminate most of your issues with weeds. Why? Because the sun will create heat under your dark-colored plastic or tarp and will kill most of your weed seeds. Period. Then remove the plastic or tarp, I am NOT a fan of planting through plastic. One way people cause most of their own weeds is by over-tilling their gardens. I try to not till at all, although there are times you must. I suggest that you cover those tilled areas with a tarp and kill the weeds that you just brought to the surface. Once the weed seeds are taken care of and your soil is prepared, it’s time to plant! (Assuming you’ve passed your last frost date!). 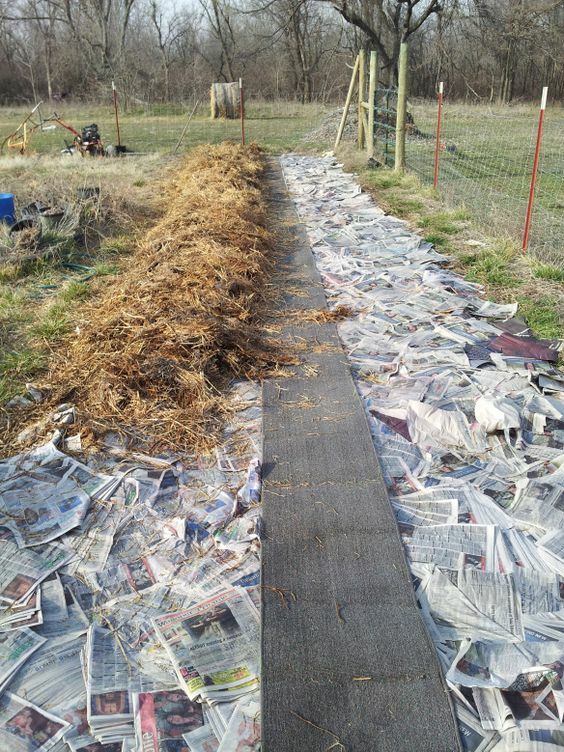 Once everything has sprouted, so that you can see exactly where it is, it’s time to place either newspaper, old burlap or cardboard in and through your rows, and in between plants if possible. I prefer cardboard, but use what you can get your hands on. Saving shipping boxes from Christmas or other materials throughout the winter is a good way to have enough cardboard once garden season rolls around. This layer should smother the weed seeds that you missed! Finally, use a heavy layer of straw to cover the cardboard or newspaper. Wetting it down initially will help it to set into place. Everything used here is bio-degradable and will create an even better micro-environment in your soil and for your plants! I do this every year and I’m very pleased with the way this little system keeps the weeds down. Let me know if you try this and how it works for you! Now, let’s get some garlic, sweet potatoes and seedlings going! Now, let’s discuss how to attract the good bugs to your garden to keep it organic! Great tips! We’re using sawdust to mulch this year-leaves/straw always blow away to the next county! I used card board boxes from the grocery store, then lasagna layered-it sure made for some beautiful soil! Hi Jessie, that’s a great idea! Thanks for reading and commenting! There are quite a few things I plant together in the chicken patch so they’ll keep them weed free and well manured -potatoes and, rhubarb are great for this. Corn once it gets tall and tomatoes before they ripen are fine being chicken-gardened as well. Also carrots and parsnip, leeks, onions, garlic. They won’t eat any of that. Of course, the other side of the coin is the chicken wire enclosed green veg patch that the little feathery bastards keep managing to break into! PS, If you have an area that sprouts weeds but isn’t somewhere that you’ll be growing plants, like a pathway or gravel driveway, just watering it with salt water is the best way to prevent new weeds coming though. Nothing will grow in salty earth, just make sure you re-salt it after each big rainstorm. I just sprinkle salt heavily on the path before the rain, and let nature water it in. Hi Beth, Great advice, thanks for reading and sharing!